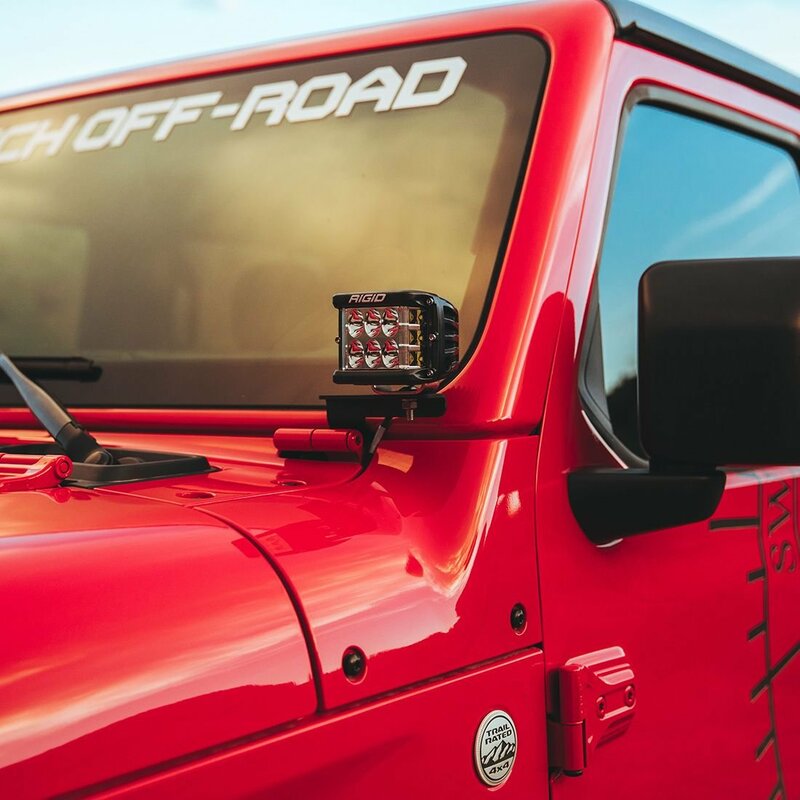 Adding lights to your Wrangler JL has never been easier now with Rigid's A-Pillar LED Light Mounts! 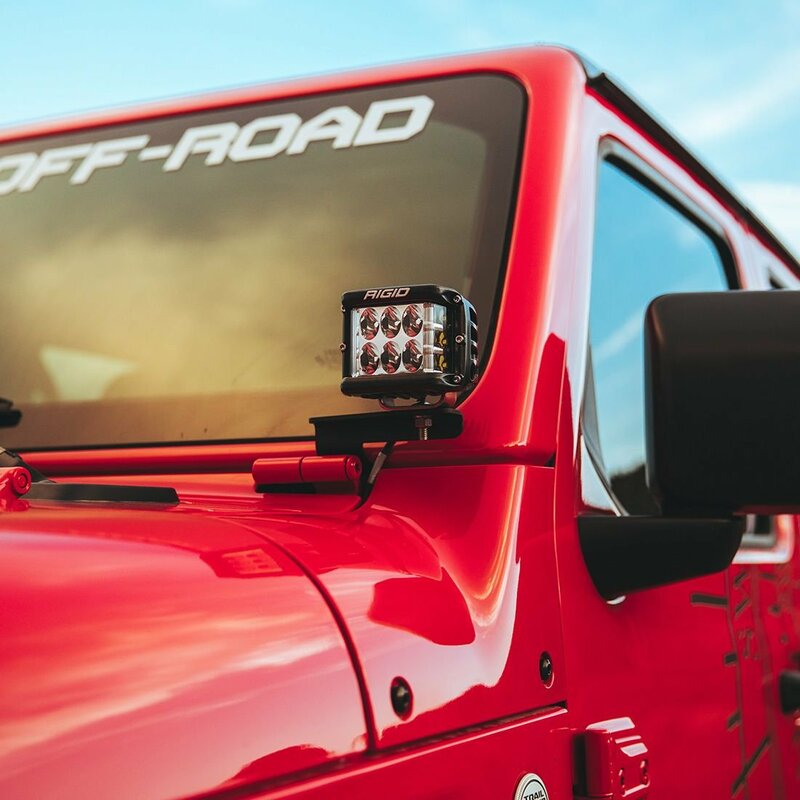 This simple add on will allow you to mount a variety of Rigid lights from D-Series to D-SS to SR-M lights giving you the power to light up the trails on the darkest of nights. This will allow you to see obstacles clearer as why as seeing whatever dangers might be hiding in the shadows. 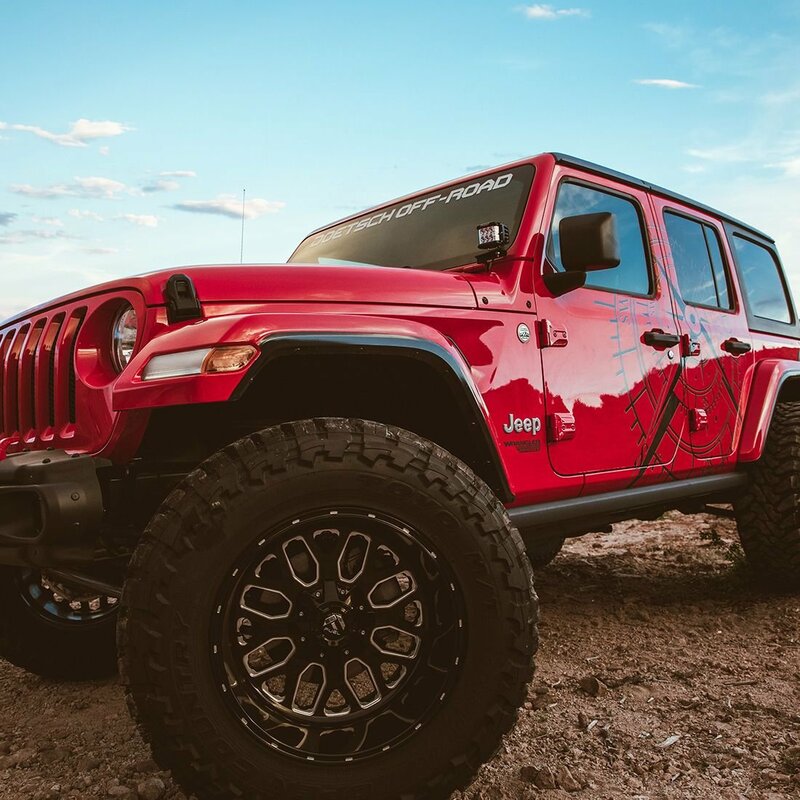 This rugged styling will make your Jeep look like a off-road beast. Added Lights: With more lighting you will be able to cut through the darkness at night time whether it be on the trails or at the camp site. Gives you the ability to add two LED lights to your a-pillars. 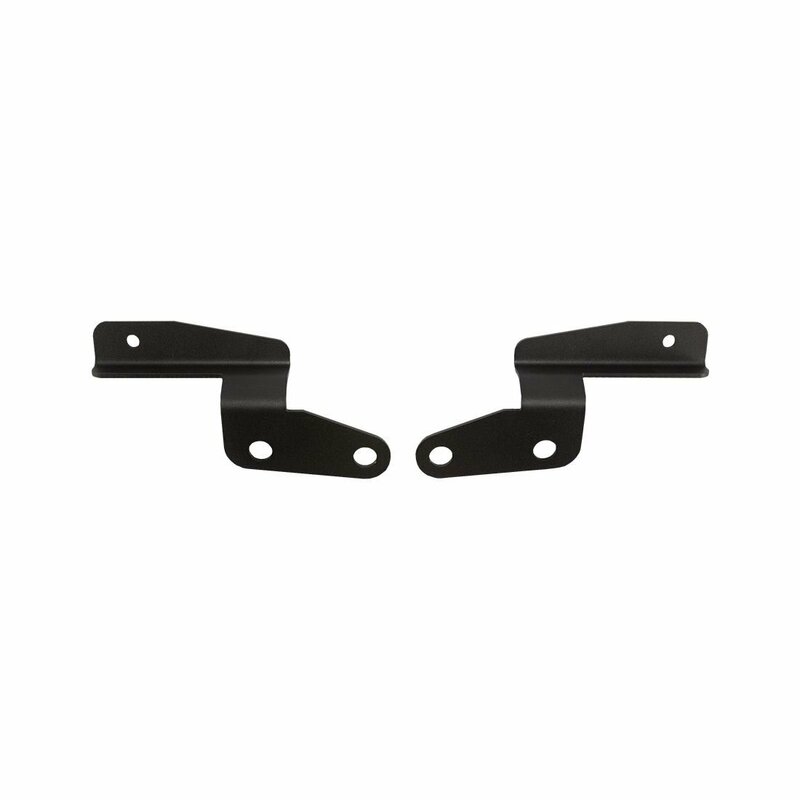 Design: These mount brackets are laser cut from stainless steel for a sleek look on your Jeep. Powder coated for additional protection from outdoor elements for a clean look that will last. Installation: No drilling or modifications are needed for these brackets. 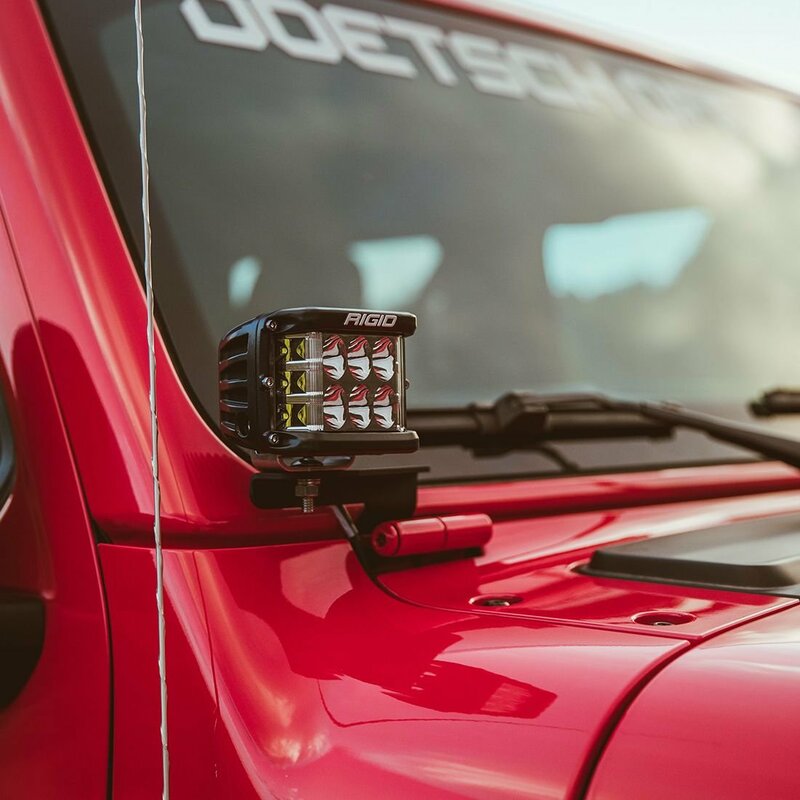 They just simply use the factory holes and in no time your will be adding some LED lights to your Jeep giving you better sight at night.